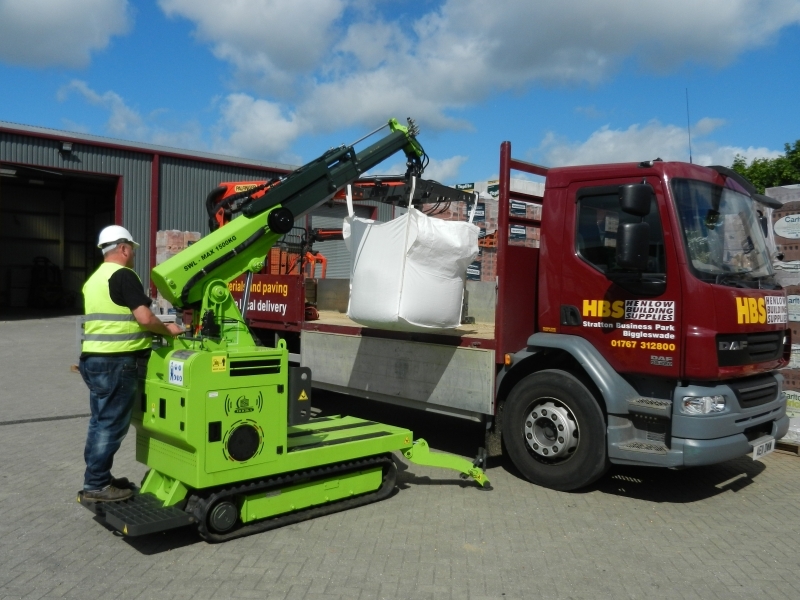 The Hooka is a new unique crane, mounted on tracks and powered by a Honda pertrol engine. 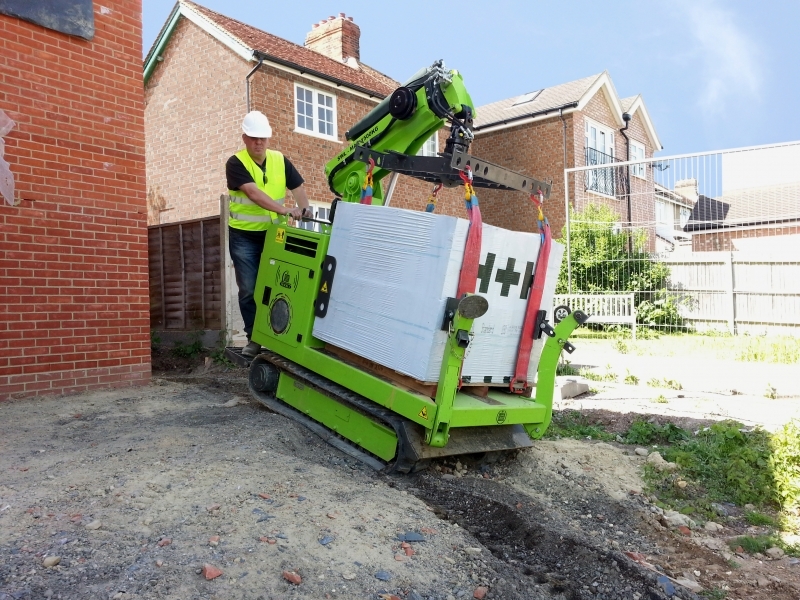 It was initially designed to lift bulk bags and transport them safely around a building site. 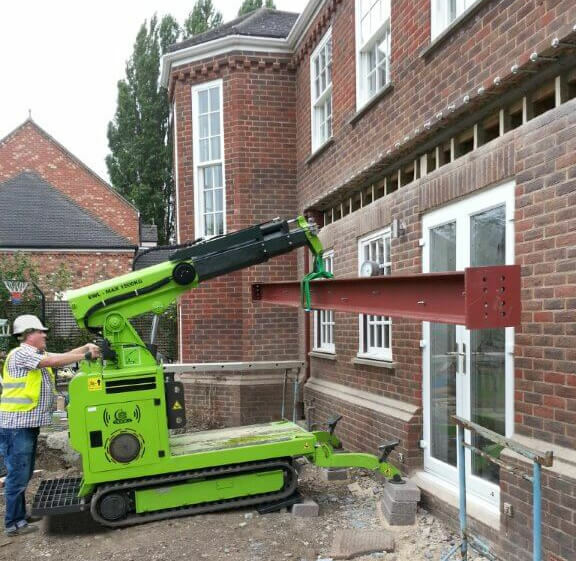 Therefore, it is slim enough to fit down the side of a house and also stable due to it supporting and gripping the load on its platform, rather than let it swing as it is transported. 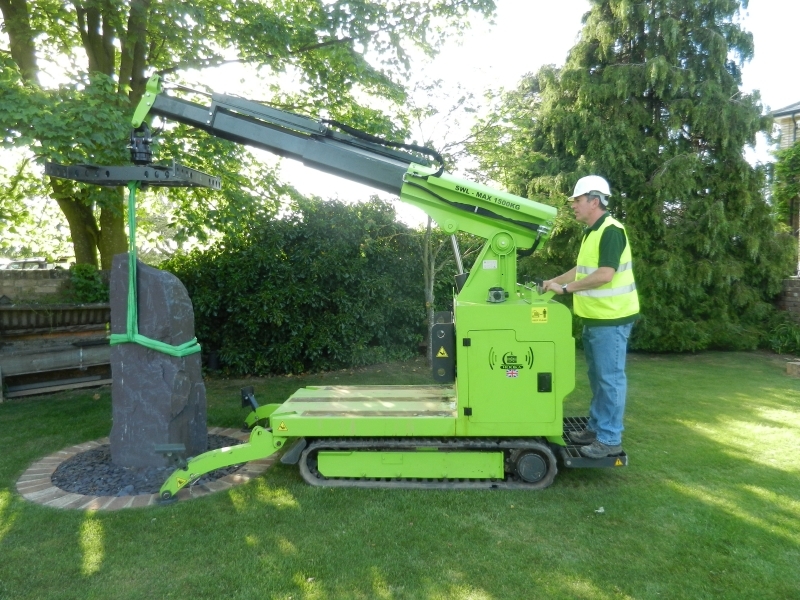 It cam also be fitted with a hook to lift even more!